I finished this quilt last Friday. Finally! I wanted a quick one and saw this in my pile. Not a big enough piece of batting around? 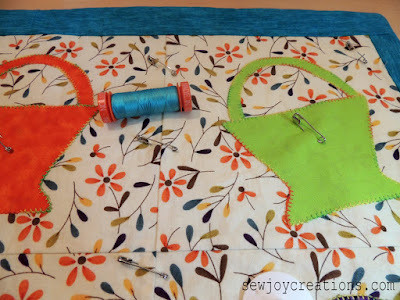 Cut some leftover pieces to size and sew them together. 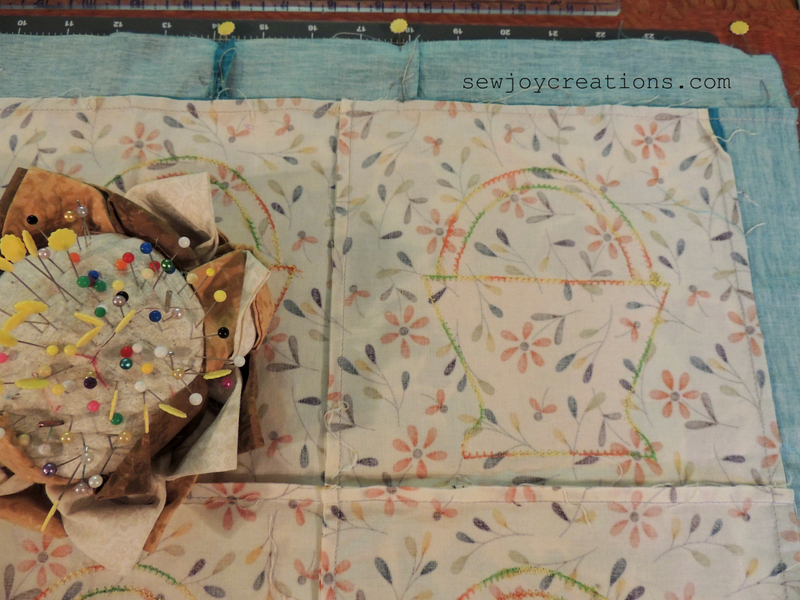 For this project the batting is the same size as the quilt top. Unsure of what to use for a backing? Can't find one piece that is the right size? 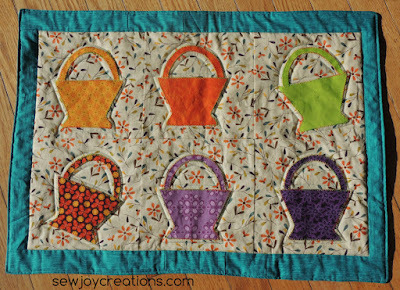 Use up leftovers from other projects and sew them together. 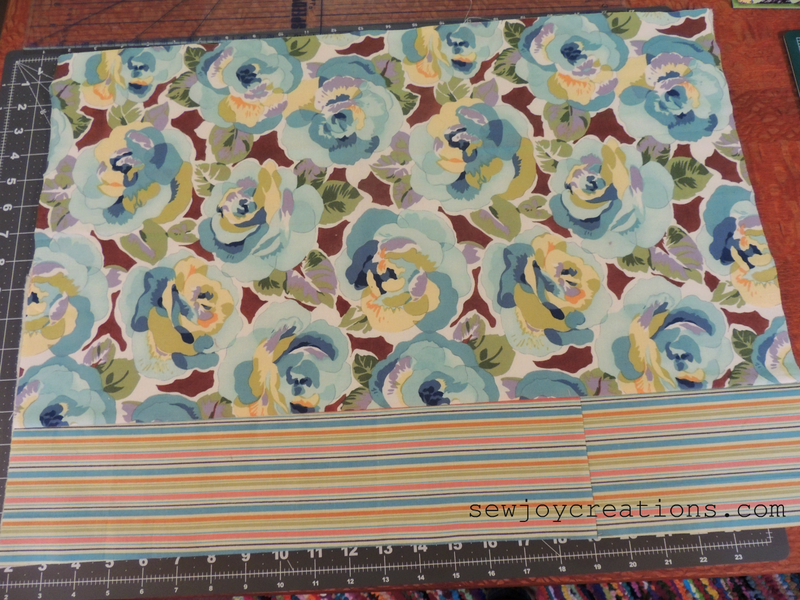 Again, the backing is the same size as the quilt top! I also skipped the binding. 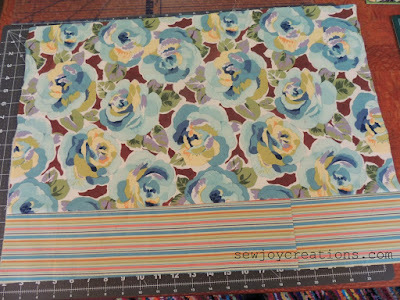 I had a small piece of the turquoise border fabric tucked in with the top but it wasn't going to be enough. 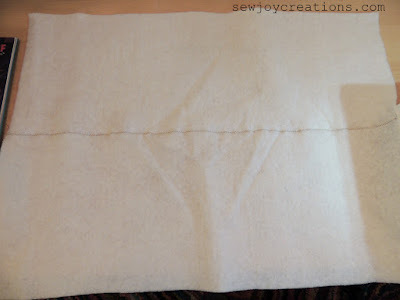 Instead I used the envelope method to finish the top - no binding required! Then it was time to pin. 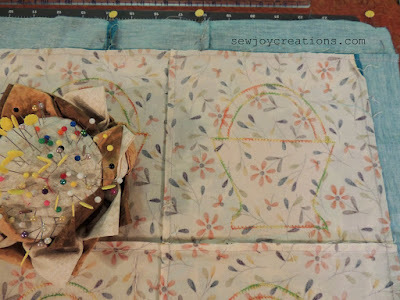 With the envelope method (I've also heard it called the birthing method) you make the quilting sandwich by laying down the batting first, then the backing right side up and the quilt top right side down. 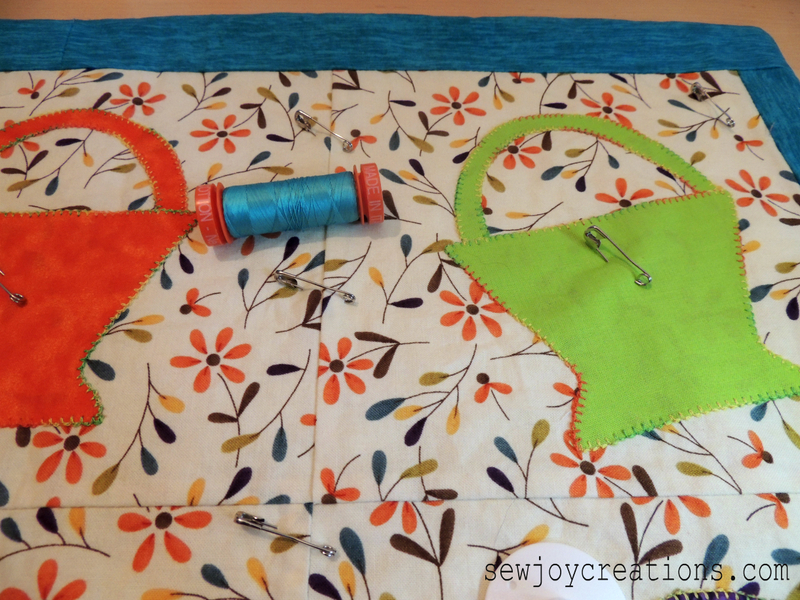 You'll stitch all the way around leaving a turning gap to push the quilt through. I decided to leave my turning gap at this top edge after the seam in the border and before the corner. Originally I wanted to try wavy quilting lines on this top. As I got to this step I hesitated and knew that trying something new would slow me down. I was so close now! 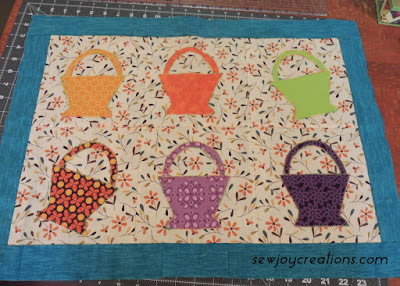 I changed my mind and decided to quilt around each basket instead - with blue! Why not! It's my quilt ;) I though it would look neat because it's the same blue as the border fabric. I DID finish the quilt on Friday but it took until Wednesday for me to have a sunny day and time to take a finished photo. So happy to have this one done! 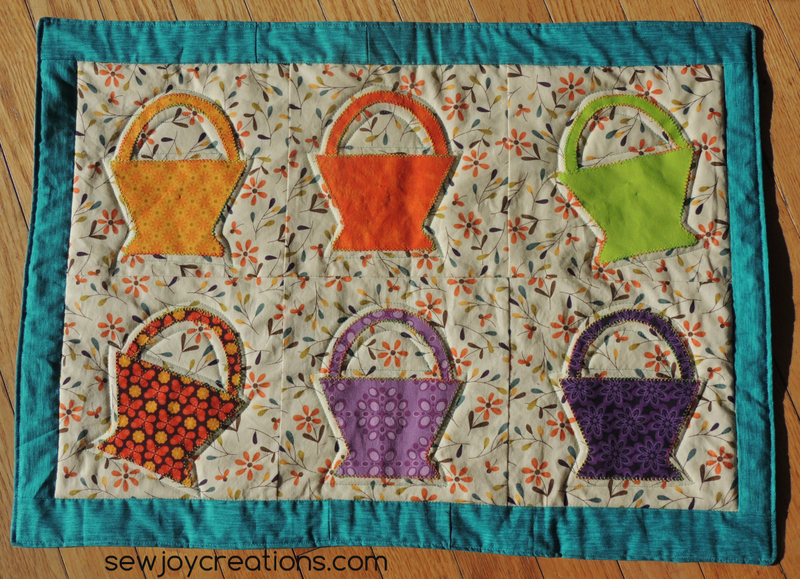 Linking up with crazy mom quilts and Finish it up Friday - she has a giveaway this week too!